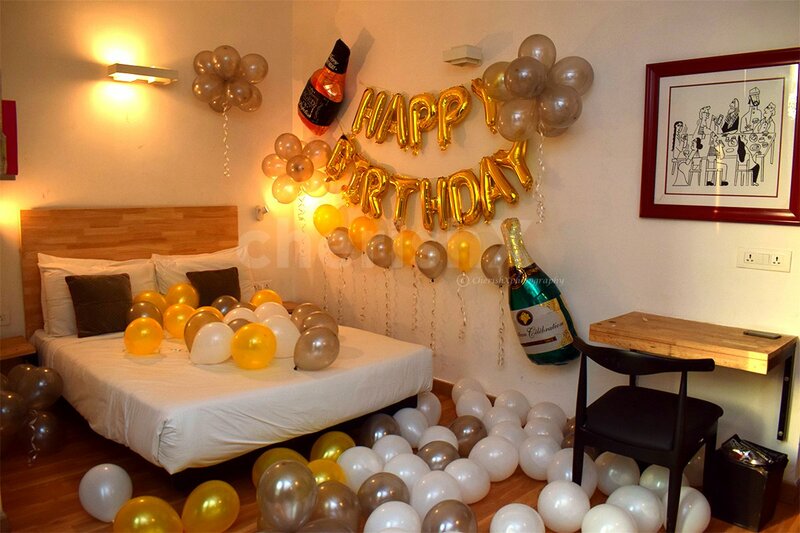 Birthday Decor: Birthdays are occasions of joy and reasons for big celebrations. 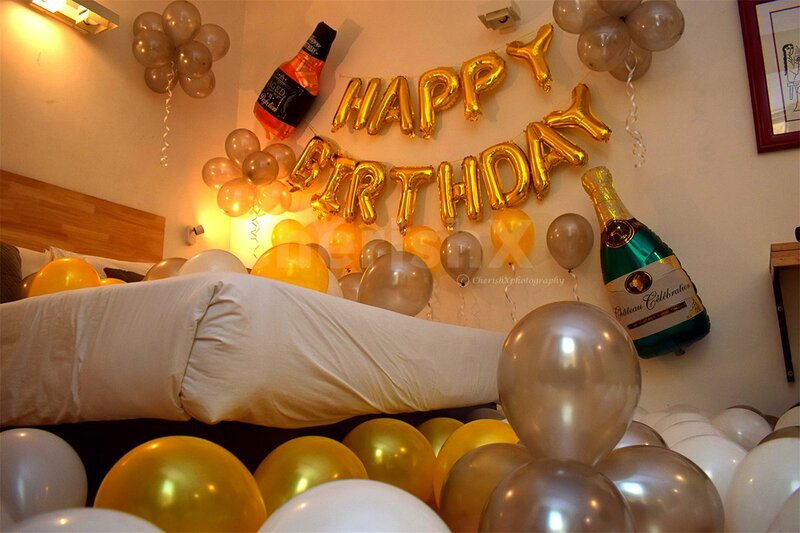 Surprise your loved one on their birthday with this exclusive decor from Cherishx. 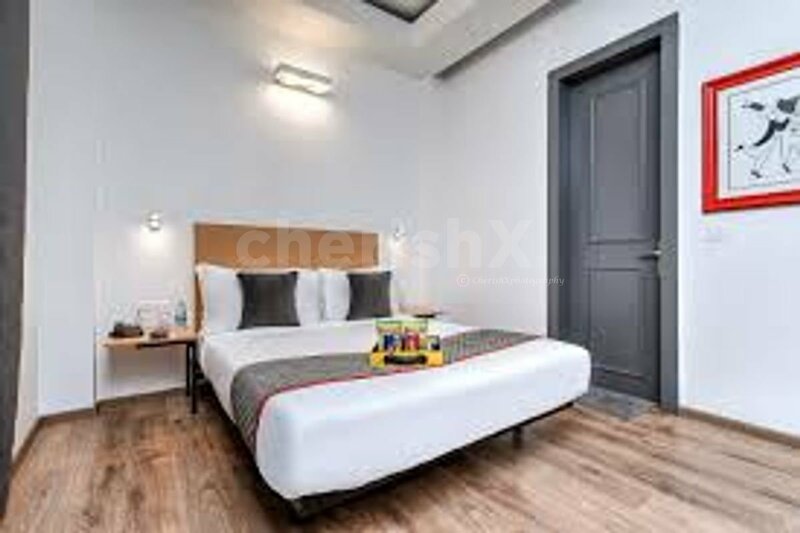 Imagine the look of delight on your partner's face when they walk into a room adorned beautifully and in a grand manner. 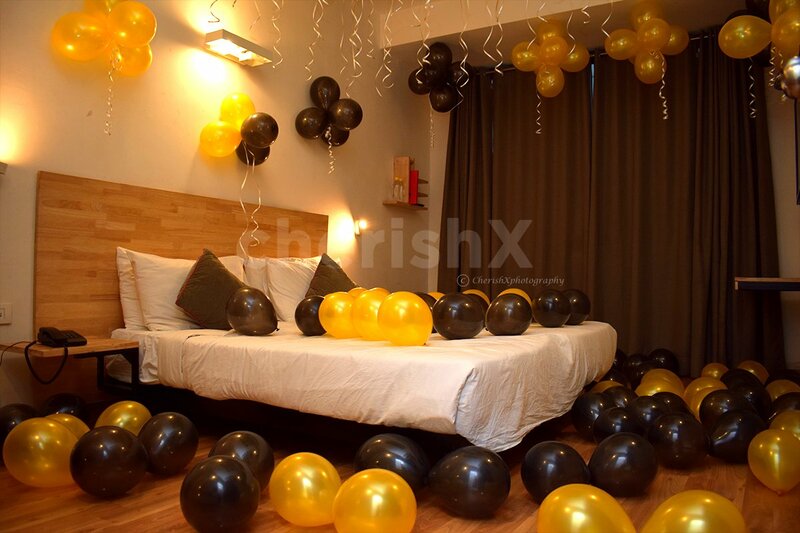 This unique decor is done using 'Happy birthday' lettered golden foil balloons, 1 whiskey foil balloon, 1 champagne foil balloon, 50 metallic grey latex balloons, 30 white latex balloons, 20 golden latex balloons, beautiful ribbons and 4 hanging clips. 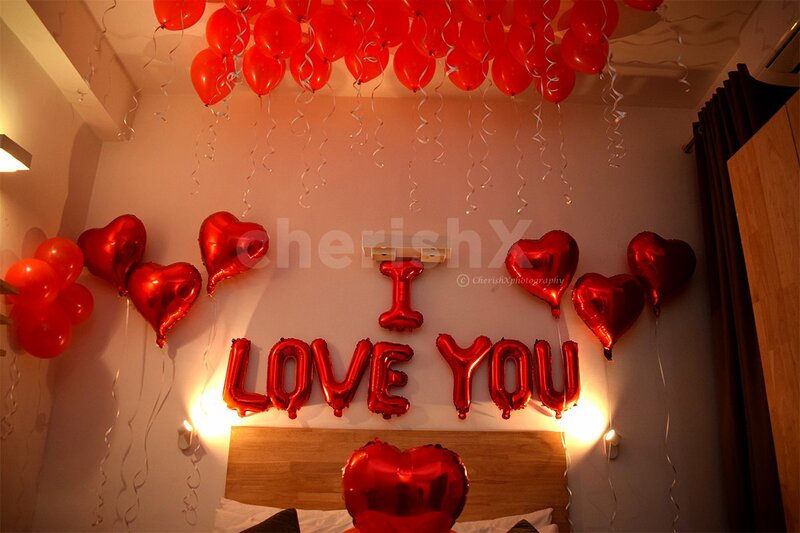 Out of these balloons, some will be stuck on the wall using soft removable tape and will have pretty ribbons dangling down from them, while some will be placed delicately on the bed, and some will be strewn aesthetically on the floor. This is the best way to make someone feel loved and celebrated on their special day. So don’t think twice, book this amazing decor and add magic to your experience!